“Heidi genuinely cares about her job and her coworkers and patients”. 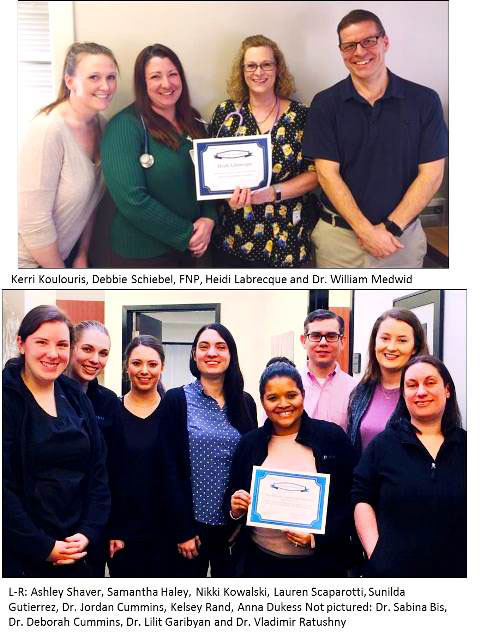 Massachusetts Dermatology Associates was recognized for being consistently cooperative and responsive to patients being re-directed to their high-quality dermatology team. We appreciate their efforts in supporting the NEPHO goal to provide high quality, community health care. Winners will receive gift cards and they will be announced in the newsletter and posted on our website.